War Eagle! For years students have shouted the Auburn yell as the eagle, Tiger, flies over their heads into Jordan-Hare Stadium. Aubie, the famed mascot is the spirit leader at all football games and helps cheer Auburn to win. After a win crowds gather to watch the toilet paper fly around Toomer’s Corner. 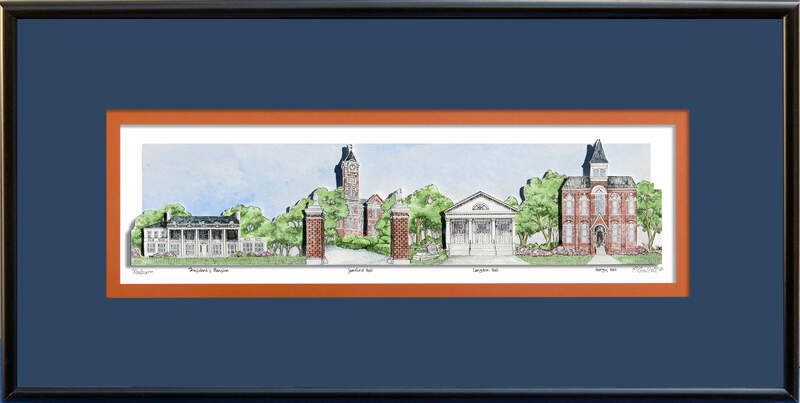 Auburn University buildings depicted in this artwork are the President’s Hose, Samford Hall, Langdon Hall, and Hargis Hall. 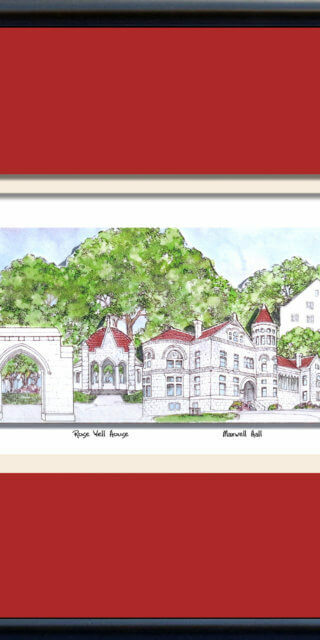 Samford Hall, Auburn’s signature building, was built to replace “Old Main” after it was destroyed by fire in 1887. 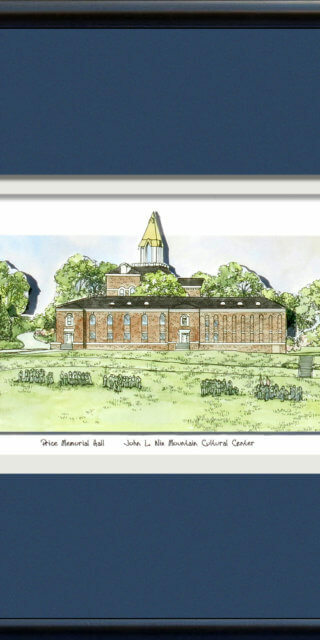 It has served as classroom space, a hospital, library and currently is administrative offices for Auburn. 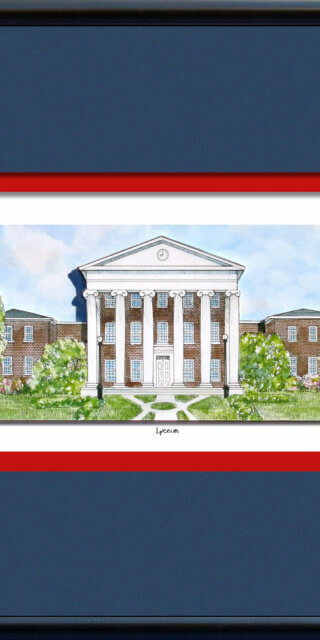 Built in 1846, Langdon Hall is the oldest building in the city of Auburn and housed the first engineering school in Alabama. The Graduate School Administrative offices are located in Hargis Hall. I got this as a graduation gift 20 years ago and it still hangs beautifully and proudly in my home. 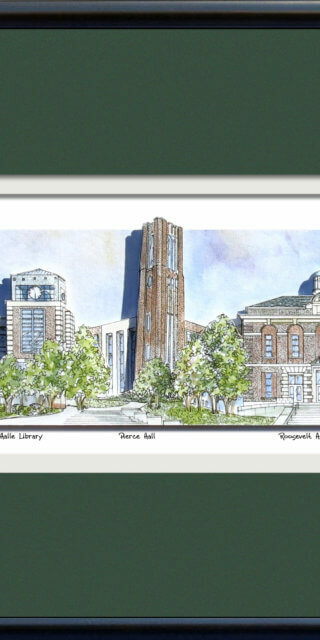 Quality is superb, it captures Auburn and the buildings perfectly.